Today, we’re talking about budgets. 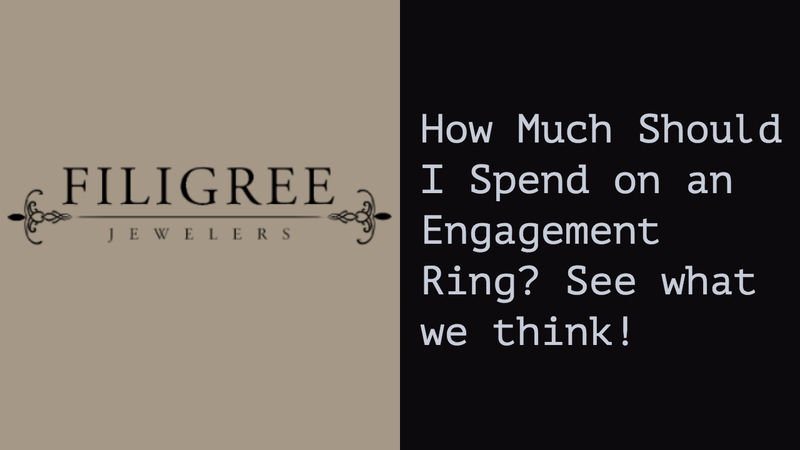 The biggest question that our engagement ring buyers ask us is; how much should I spend on an engagement ring? One of the things that used to be a way to calculate your budget was based on your salary, and it was either 1-month salary or 2-month salary, and we’ve even heard 3-month of salary. You can go ahead and throw that tradition out the window my friends. It’s really an old tradition that people don’t usually follow anymore and it comes from a marketing campaign in the 1940’s. The real answer is that your budget should be what you’re comfortable spending and what fits within your personal budget. What kind of Engagement Ring options are out there? 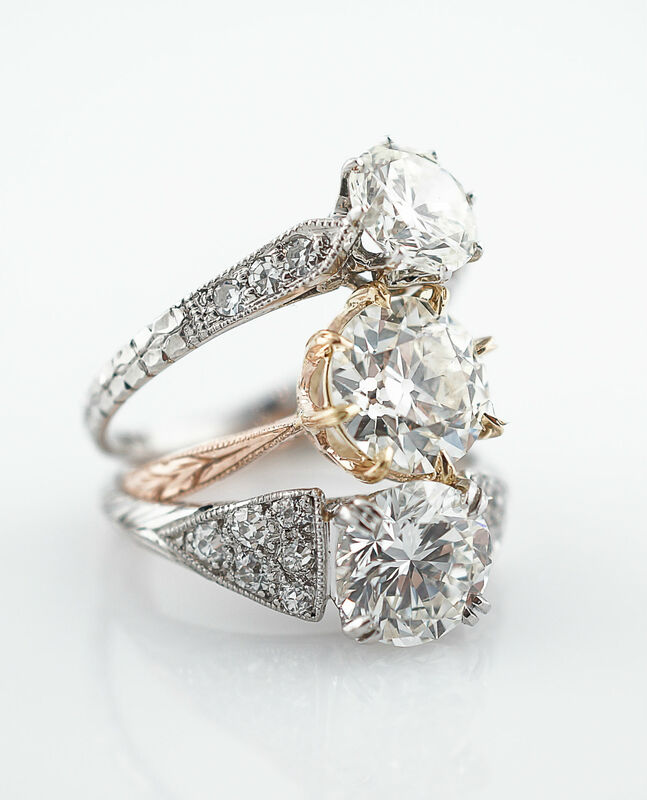 One of the best reason’s to consider an vintage engagement ring is that you can get a ton of ring for not very much money. Vintage rings are generally one of a kind, so not only are you getting something that looks amazing, it’s also probably the only one like it in the world. 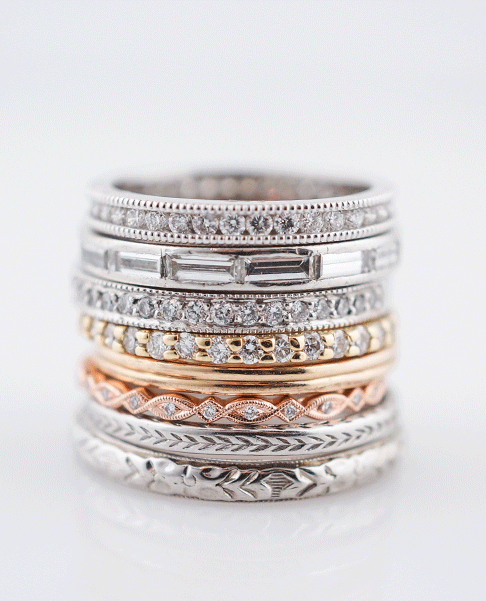 We have stunning engagement rings for as little as $1,500 all the way up to $20,000 and higher. Custom engagement rings tend to be a bit higher priced, as the labor to create a new piece has to be included, but this is also another great way to go and can also be affordable. The diamond size really shouldn’t be the important factor. We think it’s really about what you think is beautiful, and what works for the person that you’re presenting it to. It’s where you’re comfortable spending and what you’re comfortable giving as a token of your relationship and love. That’s what this ring symbolizes. I think a lot of people sort of forget that; they get away from that point that It’s not a mathematical equation and the amount spent does not truly matter. It doesn’t mean the bigger the diamond, the more she’s going to love you. It’s about the union between the two of you and that symbolism . 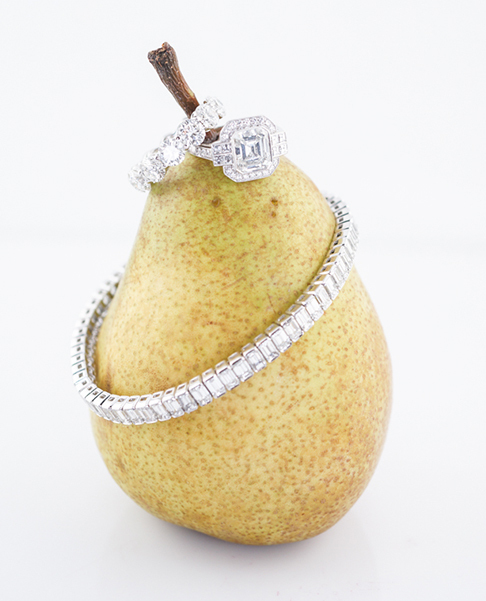 Gifting your partner with something thoughtful regardless of the price is what she will truly appreciate. We know what really matters is that it’s coming from you! Check out some of our other blog posts! What Engagement Ring Style Is Best?